Buergerpark_Bremen, a photo by manfred schloesser on Flickr. 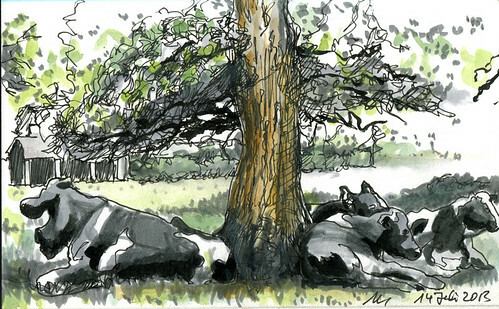 A different tree and different cows. But still in the city of Bremen in the Buergerpark (Citizen´s Park). Pencil, ink, watercolors on paper.